Travelers Commercial Ins. Co. v. Harrington, an appeal before the Supreme Court of Florida, involved plaintiff who was injured in a single car accident. While her father owned car, another family member was driving the car with permission from owner at the time of the accident. Plaintiff’s mother was named insured on the policy and had purchased the policy. 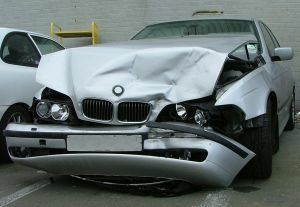 The policy covered three of the family’s vehicles and had both liability and non-stacking uninsured motorist coverage. As our automobile accident attorneys in Boston can explain, single-vehicle car accidents pose special challenges for an injured victim and it can be of great assistance to have a lawyer who regularly handles these types of car accident cases. In Travelers, the insurance policy provided liability coverage of $100,000 in personal injury per person and a limit of $300,000 per accident. The uninsured motorist (UM) coverage was at the policy limits of $100,000 per injury and $300,000 per accident. Driver also had his own liability insurance policy and was covered under the owner’s policy, as that policy defined the insured as any member of policyholder’s family or anyone driving the vehicle with permission. After the traffic accident, driver’s insurance company paid plaintiff the full $50,000 policy limit. This did not cover the total damages and plaintiff’s mother’s policy paid out the full $100,000 policy limit. This did not cover plaintiff’s full damages, so she requested payment under the vehicle owner’s UM policy, but this claim was denied because the company claimed it was not an uninsured vehicle. While, technically, it is an underinsured (UIM) vehicle, meaning there was coverage but not enough to cover the total damages, this was not the issue, because the contract defined UM to include UIM coverage. The problem was the policy also included a family vehicle exception, which expressly limited coverage in certain situations involving family members. The definition was somewhat ambiguous, and the issue for the court was whether the policy applied in this case. Prior to trial, both parties moved for summary judgment. The trial court granted summary judgment in favor of plaintiff, because she did not knowingly accept the terms of this limitation. On appeal, the intermediary appellate court affirmed the trial court’s determination and ruling on the motion for summary judgment but certified two questions to the state supreme court. Ultimately, the court held that policy terms accepted by the named insured were binding on any family member injured in the vehicle and certified the questions in the negative. It is important to realize that if you are injured in a car accident and the at-fault driver is either uninsured or underinsured, your own policy is supposed to provide coverage under the UM or UIM coverage. However, the insurance company may not make this easy, as they are more likely concerned with their profitability than your right to compensation. The most important thing you can do to increase the chances of obtaining a full and appropriate financial recovery is to have someone on your side who understands the law and will fight for your rights.